The 2019 Winter European Youth Olympic Festival Sarajevo & East Sarajevo got underway with a flourish today thanks to a lively Opening Ceremony that had a packed Asim Ferhatović-Hase Stadium on its feet throughout most of the proceedings. The theme of the night was “We Create Together,” and the Ceremony featured numerous celebrities from the local sports and entertainment worlds, both current and past stars from the time of the 1984 Olympic Winter Games in Sarajevo. The two Olympic events were symbolically bridged with a handshake between 1984 mascot Vučko and the 2019 EYOF mascot Groodvy, much to the delight of those in attendance. 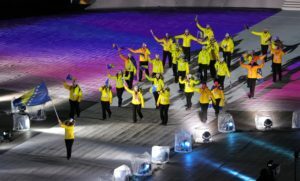 The parade of nations featured flag bearers from each of the 46 European National Olympic Committees with athletes participating in the 14th edition of the Winter EYOF. Speeches were delivered by the Sarajevo Mayor Abdulah Skaka, East Sarajevo Mayor Nenad Vuković, Bosnia and Herzegovina President Milorad Dodik and European Olympic Committees (EOC) President Janez Kocijančič. 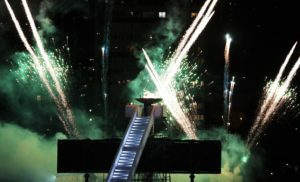 The Ceremony was brought to a rousing conclusion by the lighting of the 1984 Olympic cauldron by Bosnian judoka Larisa Cerić. The Flame of Peace was lit in Rome, home of the EOC, on 31 January before being transported to Bosnia and Herzegovina. The cauldron will remain lit until the end of the EYOF on 15 February. Held under the patronage of the IOC, and the pride of the European Olympic Committees with 25 years of tradition, the EYOF is the first top European multi-sport event aimed at young athletes aged 14 to 18. There is a winter and a summer edition, which take place in two-year cycles, in odd-numbered years. 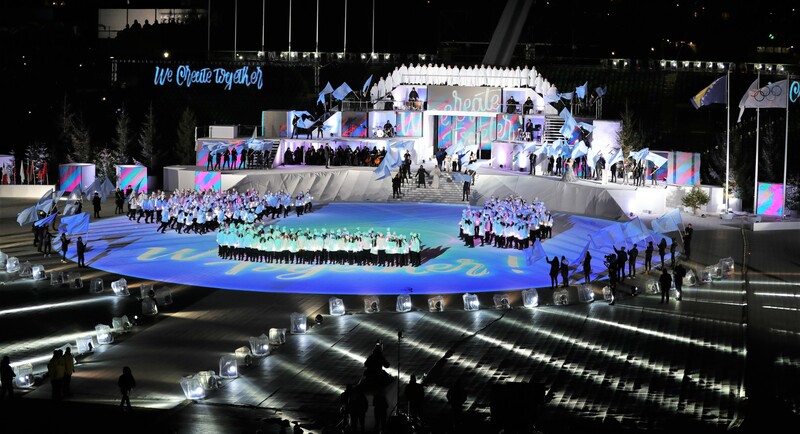 The event takes place under the Olympic flag and is rich with Olympic traditions: from the lighting of the flame to athletes’ and officials’ oaths. It is at the EYOF that many of Europe’s inspiring sports stars of tomorrow take their first steps on the international stage. And while some may enjoy EYOF as a stepping-stone to Olympic greatness, all who participate take home friendships and experiences to last a lifetime. Approximately 3,600 young people and their officials take part in the summer festivals, while there are around 1,600 participants at the winter editions.